I didn't see a previous thread covering this topic exactly, but if there is I apologize. With Mothra, Ghidorah and Rodan announced for the MonsterVerse, Mechagodzilla (and possibly Mothra) appearing in the ongoing anime, and various Baby/Proto Godzillas and genetic offshoots (Kamata-kun, Shinagawa-kun, the Servum, Godzilla Filius) thrown into the mix, that pretty much covers the big names and character types we can almost always count on returning whenever Toho resurrects Godzilla. But when it comes to other classic kaiju, who would you like to see return and why? And by this I mean proper starring or costarring roles, not background cameos like in the anime's prologue. With 25 options I couldn't fit everybody in, so I decided to stick to Showa names (in chronological order), making 17 options plus 'Other' for the handful of Heisei/Millennium originals. So in the end that's 9 out of 18 you can choose from, which I thought would be fun. I really want a Zone Fighter film with Gigan as the main antagonist kaiju, lots of interesting ideas. I also think that almost everyone wants Varan to make a comeback either in his own film or maybe as a villain or secondary monster. Others I also want to see but not sure when they should debut. This is Godzilla in general not just the MonsterVerse. I think Hedorah has the most potential with today's enviromental climate. He's something of a timeless character and it's weird to me that he never returned outside of a cameo in GFW. UltramanGoji wrote: I think Hedorah has the most potential with today's enviromental climate. He's something of a timeless character and it's weird to me that he never returned outside of a cameo in GFW. I agree. His blobby, amorphous nature has a lot of potential - if done in the right way, he could be one of the most terrifying monsters ever. Like John Carpenter’s Thing if it were a kaiju. Just imagine a new take on The Giant Condor. But still edited in the same manner. 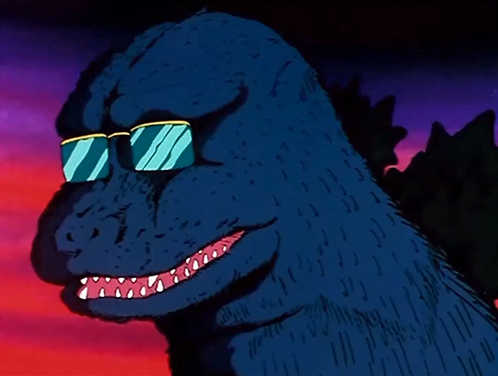 The only monster that matters is Anguirus. Ivo-goji wrote: The only monster that matters is Anguirus. He is the most popular so far followed by Varan, Hedorah and Gigan in a triple tie. Tyrant_Lizard_King wrote: This is Godzilla in general not just the MonsterVerse. Anguirus is the top of the list, of course, but I'd be open to pretty much any kaiju returning. Other top choices include Space Godzilla, Kumonga, Varan, and Battra. I'm open to a lot of monsters returning, but I'm always down for a new one. What I really want is for the proper spelling of Angilas to return. Out of the list, chose Anguirus, Manda, Baragon, Gorosaurus, Gabara, Hedorah, Gigan, Megalon, aaaaand the Giant Condor. But really, I'd've chosen all of them if that were allowed. Always open to seeing new interpretations of the old monsters, for better or for worse sometimes. I’d like to see Ichiro return as a horrifying super villain who can control kaiju with just the power of his imagination. Anguirus still #1, followed by Hedorah and Gigan at #2 and Varan, Baragon and Megalon at #3. Fully agree on Anguirus, but I'd also like to see Kumonga make a return, as well as Manda and Ebirah. Anguirus still reigns supreme, with Gigan in 2nd and Varan, Hedorah and Megalon triple tied for 3rd.